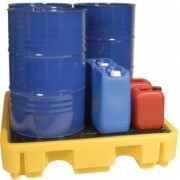 Leaks from drums stored on our Spill Pallets keep floors oil clear by holding the spilled material in the robust and corrosion free pallet. 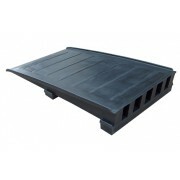 We have sizes for two and four drum spill pallets, and when they're in use you can be sure there will be no oil spillage problems. 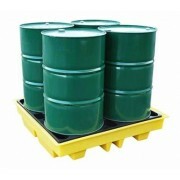 EU and UK Compliant oil storage. 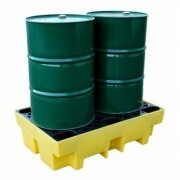 Stores 4 x 205 litre drums. 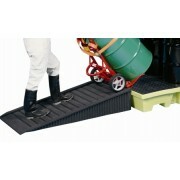 Ribbed non-skid surface allows for safe walking. 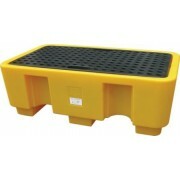 Fits the 2-Drum Poly-Spillpallet 2000. 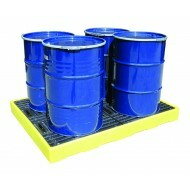 For use with our All Weather 4 Drum Spill Pallet. 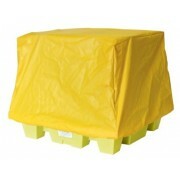 Low profile for safe drum handling. 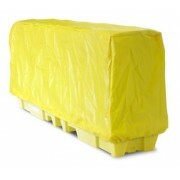 Easy to move between pallets. 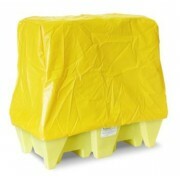 Fits the Low Profile In-Line Poly Spillpallet 3000. 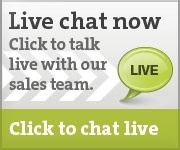 Poly-Slim-Line 6000 features a low 12" profile. 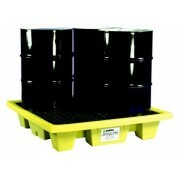 Holds four 205 litre drums with a load bearing capacity of 2722 kg.